you can find and post all landscaping projects around the USA. We all need a special place to come to and find the right landscaper. 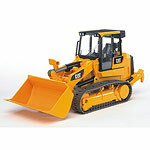 you have for sale on our website, Landscaping related. Our website will give you the information you need for whatever your project demands. Architects, design professionals, homeowners and contractors alike trust us to bring their projects to completion, creatively and cost effectively.